Did you know that the broadcast pieces you hear on NPR and our podcast are excerpts of interviews pulled from the StoryCorps Archive? Participants visit one of our recording locations with a friend or family member to record a 40-minute interview with the help of a trained StoryCorps Facilitator, or record a conversation using the StoryCorps App. 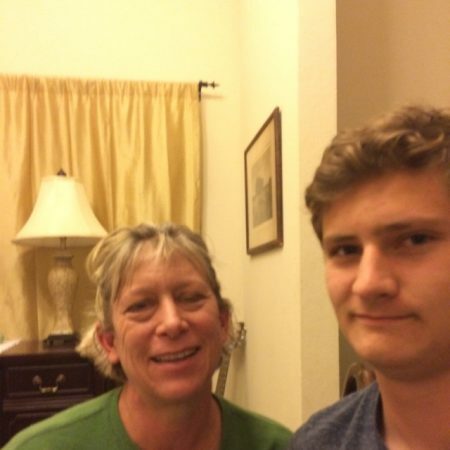 All interviews recorded using the StoryCorps App, including the selections below, can now be accessed at archive.storycorps.org, our first step towards making our collection of voices accessible to the public. World AIDS Day takes place on the first of December each year. On this day, we recognize the ongoing fight against HIV, show solidarity with the estimated 36.7 million people living with HIV worldwide, and honor those who have died from AIDS-related illnesses. In these interviews from the StoryCorps App, people share the impact that AIDS has had upon their lives and the lives of their loved ones. 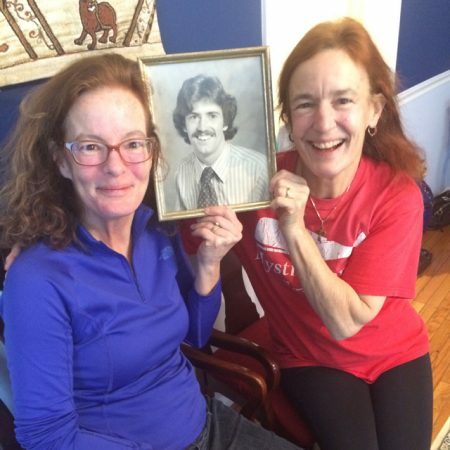 Sisters Melissa Hippler (left) and Judy Hippler Bello remember their brother, author and journalist Michael Hippler, who died of AIDS-related complications on April 2nd, 1991. They describe Michael as a multi-talented storyteller, writer and advocate — “the toast of each town” when he was living in New York and San Francisco. Henry Windle interviews his mother, Dr. Stephanie Windle (left), about the role she played in founding the first AIDS treatment clinic in Wisconsin. Dr. Windle, now an Assistant Professor of Nursing at San Francisco State University, talks about the pervasive fear of HIV among nurses in the 1980s. 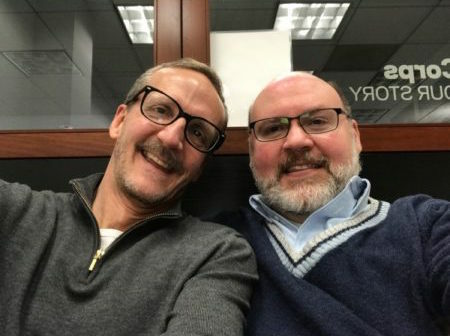 In an interview recorded at the Art AIDS America exhibition in Chicago, friends Stephen Starr (left) and Dave Howser talk about growing up in the Baptist Church, coming out as gay in the midst of the AIDS crisis, and the ways that witnessing the impact of HIV and AIDS has changed their spirituality.